Here we go. 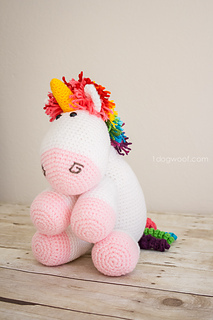 A unicorn. 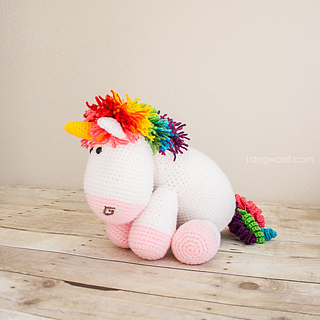 A large, bright and colorful crochet unicorn. Yeah! I wanted something LM could grow up with, and it seems our house is filled with small, handheld stuffies. Well, I wanted a large, super cuddly, takes-up-serious-room-on-the-bed stuffie, so here it is! 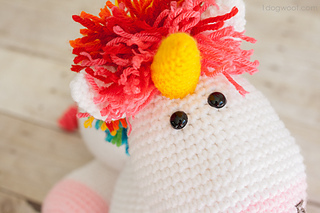 He is inspired by the IT’S SO FLUFFY unicorn from Despicable Me, but he is his own unique self.